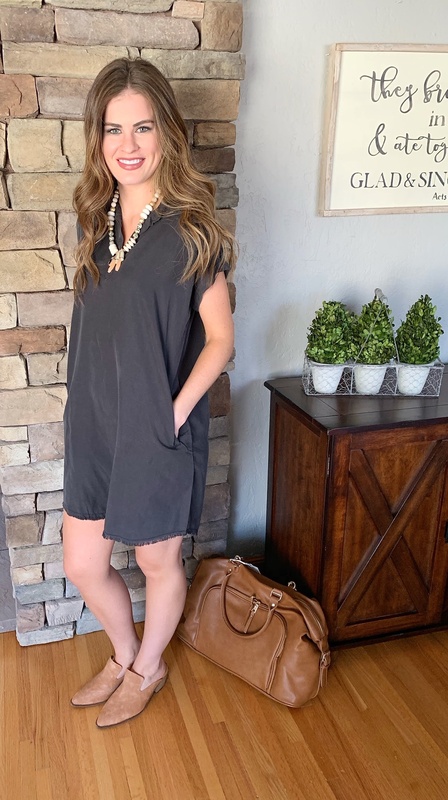 This Thread & Supply dress is casual and cute. We are loving how versatile it is and the cute fray at the bottom. 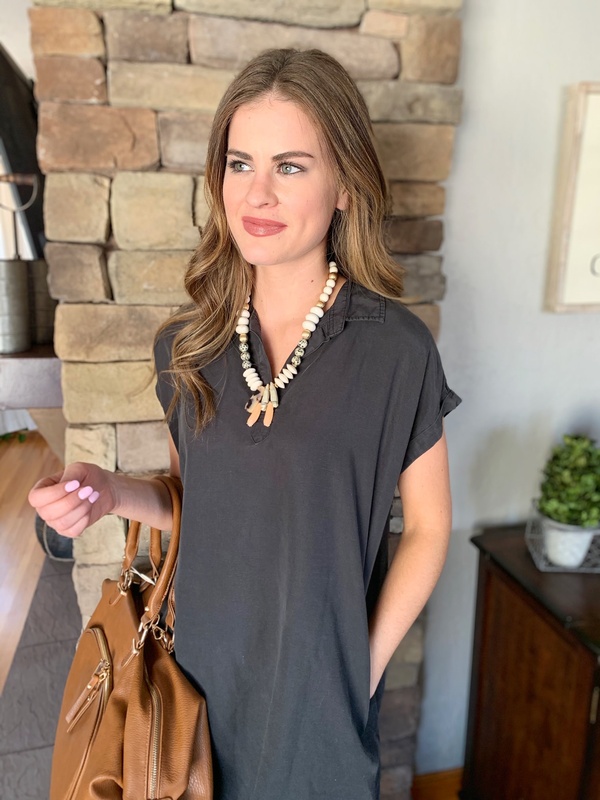 Pair it with our beaded necklace it give it a pop. 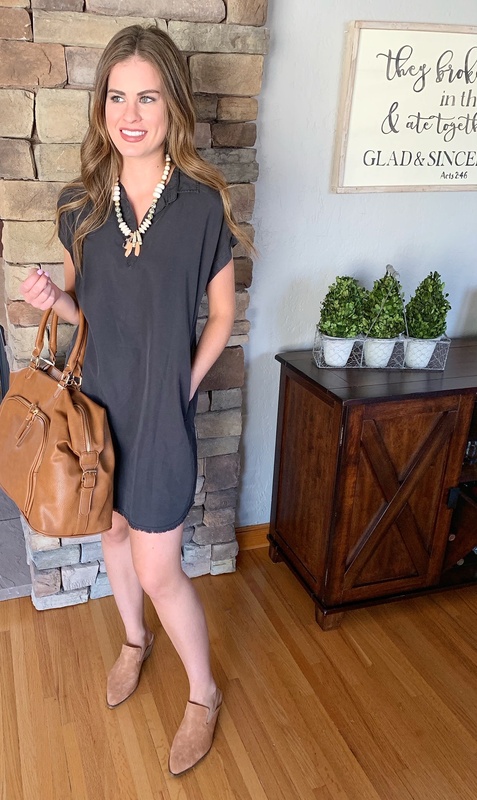 Don't forget to check out our N E W travel bag and chelsey heeled mules! WE'LL SEND YOU THE LATEST SPECIALS!